Today in Denver the weather turned gray and cold after a week’s stretch of nice days lured me into a false sense of warm-weather security. The nasty outside my window got me thinking about my dire need for a fashionable zombie hoodie and lo and behold, today’s Fashion Zombie entry. 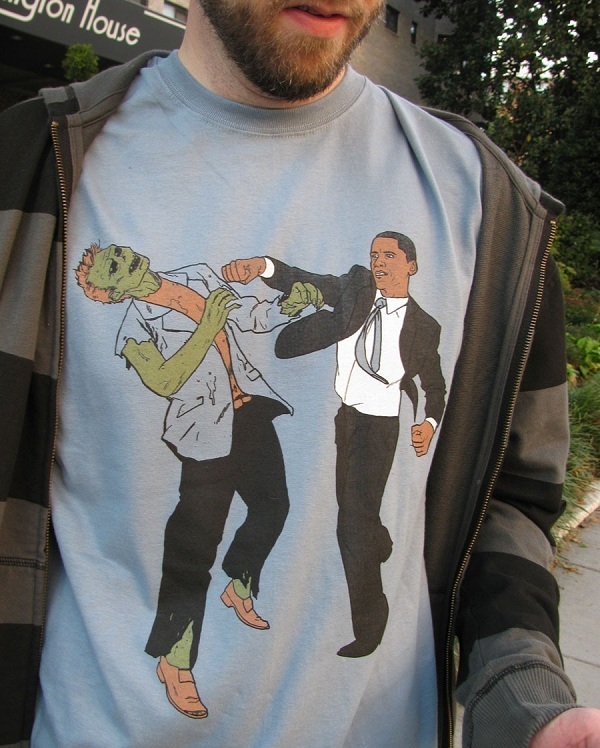 It’s from the ever-amusing minds at Think Geek, who offer this lovely zombie-rights protest hoodie. 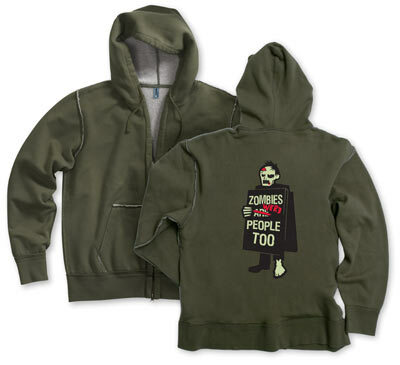 It’ll set you back about $40, but you’ll look good and zombie-aware and stay warm. It’s also available on a T-shirt (see the image below, which also shows the design a little better). 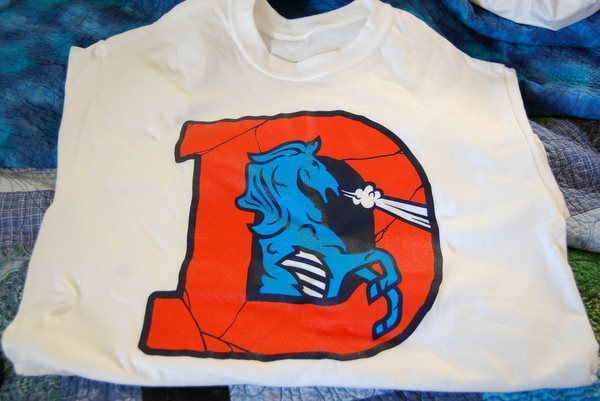 If there’s one thing I love almost as much as zombies, it is the Denver Broncos. And this excellent shirt brings those two great loves of my life together with a dash of excellent, old-school Bronco flair. I believe it’s actually called “Bring the D Back!” but I can’t help but call it the ZomBroncos shirt (it also reminds me of the awesome zombie demon horse at DIA, Denver’s coolest piece of public art). I can’t wait to wear it to a home game next season. You can buy one for yourself at Filthe.net for $20. 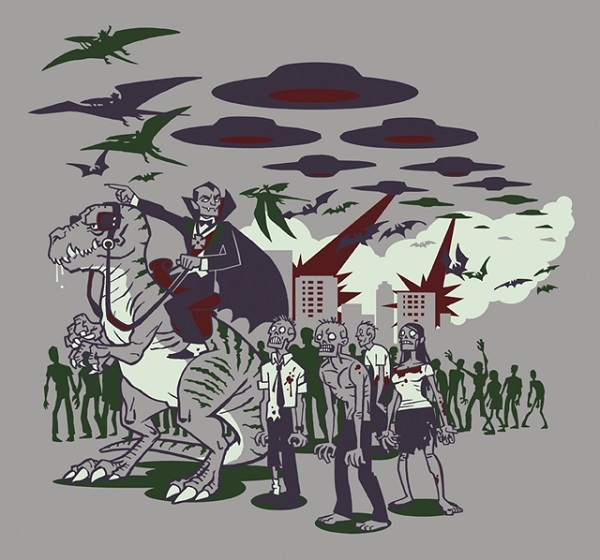 They also have a couple of other excellent zombie-themed designs. Communism and zombies, back from the dead and together at last. Today’s shirt comes to us from Teefury, where shirts appear for sale for a single day then disappear to never be seen again (except on the bodies of the people that bought and wear them, naturally). 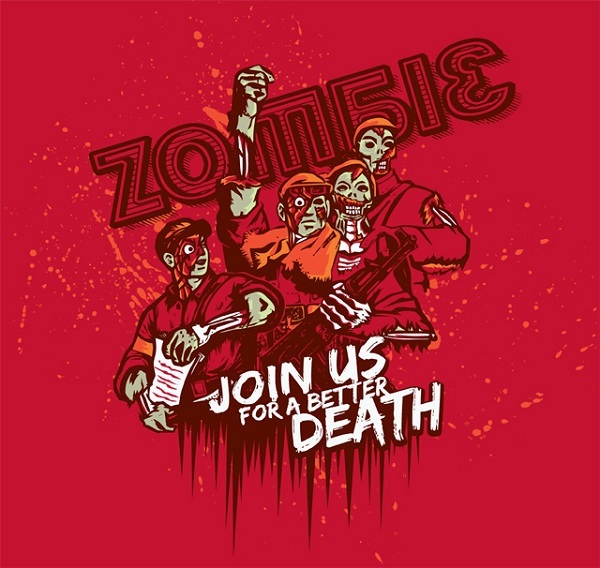 In other words, if you like this design that mashes up old Communism recruiting slogans with the walking dead, you need to act now. In just more than nine hours, it will be off the market forever. It’s only $9, if that helps. I’m buying one.